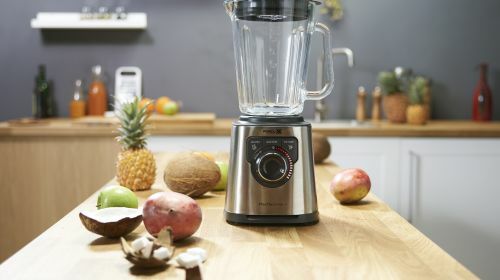 As 2019 and the usual New Years resolutions came around again it got us thinking, yes we want to be a little healthier, but do we really want to give up our fav foods… no not at all! 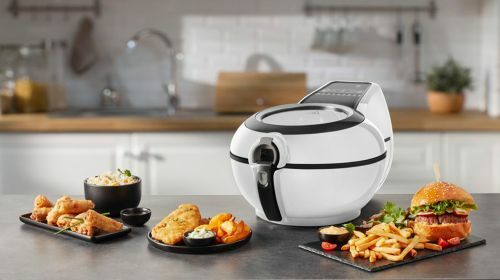 That’s how Tefal’s Food Revolutions was born. 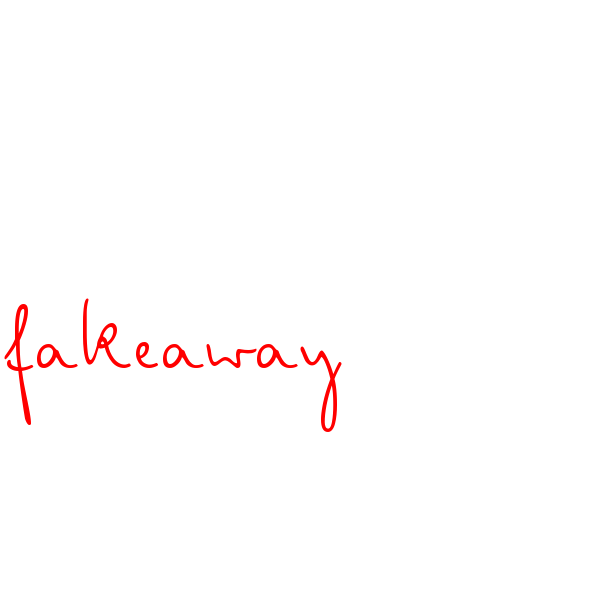 We want our beloved takeaways but we also want them to be healthy, nutritious and full of flavour so we don’t feel like we are missing out. After all, no one wants FOMO on a Friday night. So we put 8 top food bloggers to the challenge… and boy did they come through! “Amuse your Bouche” had a go on our little “Dinner Spinner” and landed on Mexican. Thoughts immediately turn to refined carbs, more carbs and a whole lot of cheese. Amuse your Brouche, however, has not only managed to make a low carb, healthy fakeaway, it is still on point with all the flavour of your usual takeaway and it is 100% tasty. 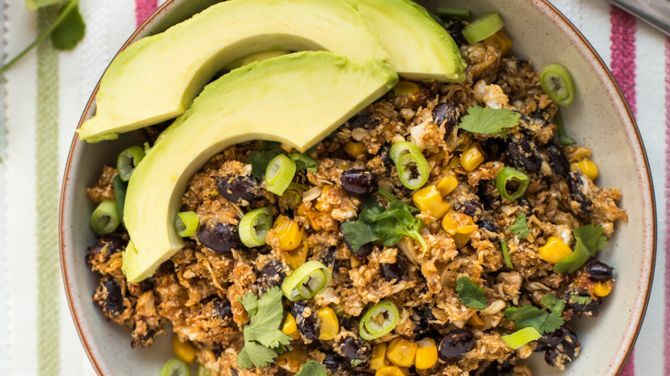 Get a load of this Tex-Mex Cauliflower Rice with a multitude of different toppings you can mix and match to suit your fancy. Sound too healthy to be tasty? Don’t be fooled by the name, its full of flavour and has a cheeky handful of cheese to take your fakeaway to the next level. Plus if you consider how easy it is to make, you’d be foolish not to give it a try. 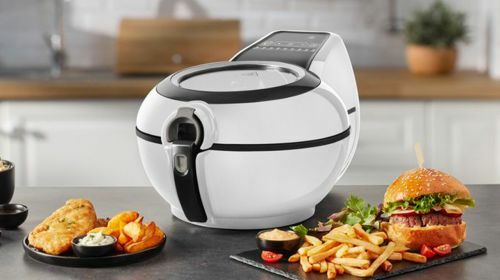 To get started all you need to do is whizz up your cauliflower in a blender to make the rice, then pop it in your Actifry for a while to get it toasty and yummy. 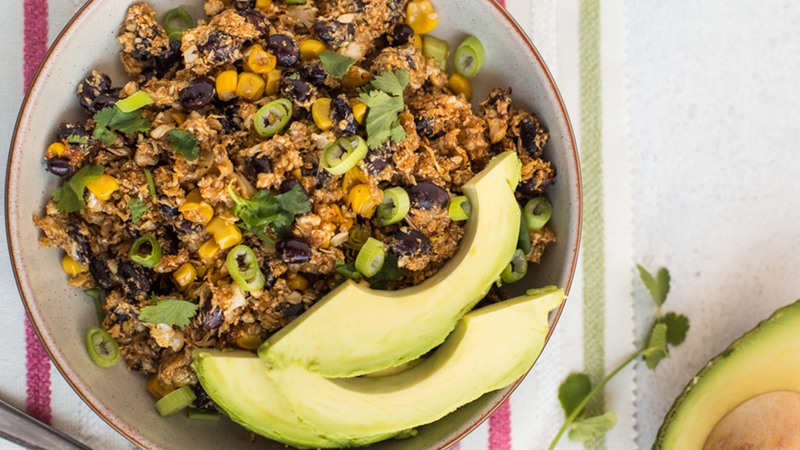 Next add the rest of your ingredients, spices, corn, black beans etc and cook in the ActiFry for 10 mins. 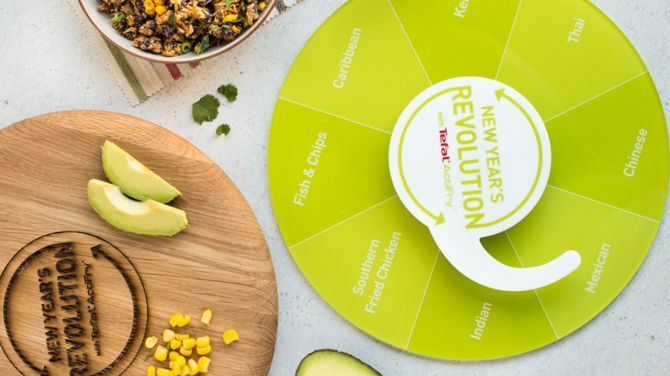 Now all you need to do is decide which toppings you fancy, a bit of sliced avo, salsa or chopped spring onion to name but a few. To see how to make this mouth-watering fakeaway yourself check out the recipe at Amuse Your Bouche.